It’s an old story that self hosted blogs cannot enjoy the features of WordPress.com. WordPress.com has some amazing features which are missing in blogs made with WordPress.org. But now it’s possible to enjoy all those features by just adding a WordPress plug-in in your hosted blog. Jetpack WordPress plugin make this possible. Jetpack is a collection of various other powerful plug-ins in one plug-in. Which make it a quite large plug-in. This made me concerned about my site load speed after the installation of the same. But to my surprise it didn’t get affected and I am able to enjoy the benefits like other useful WordPress.com features WordPress short links, subscriptions, lplugindPress stats, contact form, etc. Feature No 1: Subscriptions – After Jetpack installation on your self hosted blog you can enable your blog visitors to subscribe to your posts and comments. They will get the blogs latest updates in their inbox. It is a worthy replacement for subscribe to comments plug-in. Feature No 2: WordPress.com Stats – Jetpack lets you enjoy the latest version this popular WordPress plug-in, which gives you concise snapshot of your blog statistics. This more advanced version will provide the stats in more detailed manner. Later upgraded versions of the plug-in will also be available through jetpack. Feature No 3: Spelling and grammar – Jetpack gives you more robust contextual spell checking feature with more advanced style checking and intelligent grammar checking of your blogposts. The feature is powered by After the Deadline open source technology. Feature No 5: VaultPress – Taking backup of your blog is very important. This plug-in lets you do that in most easy and convenient manner. Helps you to restore your blog in case of a crash. It lets you take real-time backup and security scanning of your blog. Feature No 6: Contact form – This plug-in will let you insert a contact form to any post or page you want. Feature No 7: Gravatar Hovercards – Most of the blogs support Gravatar profiles in their blog posts and comments, then this plug-in will user’s gratar profiles in the form of pop-up business cards, giving it more professional look. Feature No 8: WP.me short links – This plug-in will create real-time short link for all your blog pages and blog posts which can be easily shared on social media sites like Twitter, Facebook, G+ and Pinterest. Feature No 9: Short code embeds – This plug-in will allow bloggers to use short codes to embed videos from YouTube, slide share etc in their blog posts. Feature No 10: Beautiful math – With this a blogger will be able to use specialized markup language to post complex math equations in the blogpost. Feature No 11: Sidebar widgets – After Jetpack installation some new widgets will appear on your WordPress blog. These will allow you to add images, Twitter updates and RSS feed links in the sidebar of your blog. Feature No 12: Enhanced distribution– Sharing of posts is as important as posting. So this plug-in will allow better real time sharing of your blogpost and comments by letting the search engines know about then and there only. A good pinging tool. 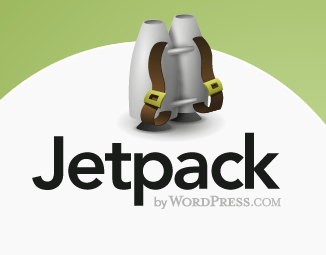 Jetpack is a bundle of lot many plug-ins which might be of use and in some you might not be interested in installing them. So you have the option of selecting the ones you want to install and ignoring the not so important ones. But some of the plu-ins is installed by default. Once you click on “Learn more” button the “Deactivate” button will appear. By using which you can deactivate the plug-ins you do not want. Try JetPack plug-in and use some of the amazing WordPress.com features on your WordPress.org blog. Cynthia Reese writes for ip pbx phone system. She is a freelance blogger and likes to write about various topics like social media, latest technology trends. Thanks for sharing this new feature Cynthia. I am no longer updated with new applications and features powered by WordPress. That was one of the main things that concerned me about ‘Jetpack’ — whether or not it would cause my posts/pages to load slowly. Did you check your page load speed to see if there was a difference? The best part about Jetpack is its feature of social plugin. It is quite easy to subscribe. With the help of this feature you can connect easily with your social network.